The Grand Heritage Catwoman costume for adults includes a super deluxe black spandex jumpsuit plus accessories. This adult Catwoman costume also inlcudes a black mask, cat ears headpiece, belt and boot tops. 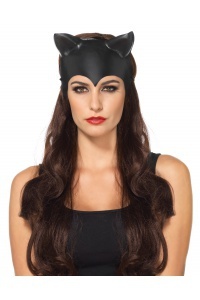 This Dark Knight Rises Catwoman costume comes in adult sizes Medium, Large, Small. This Dark Knight Rises Catwoman costume is an officially licensed Batman The Dark Knight Rises costume. 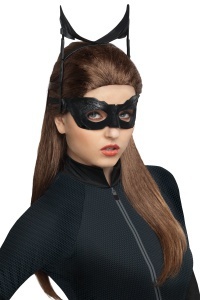 This high quality Catwoman costume is perfect for a female superhero cosplay outfit or as a stunning Halloween costume.